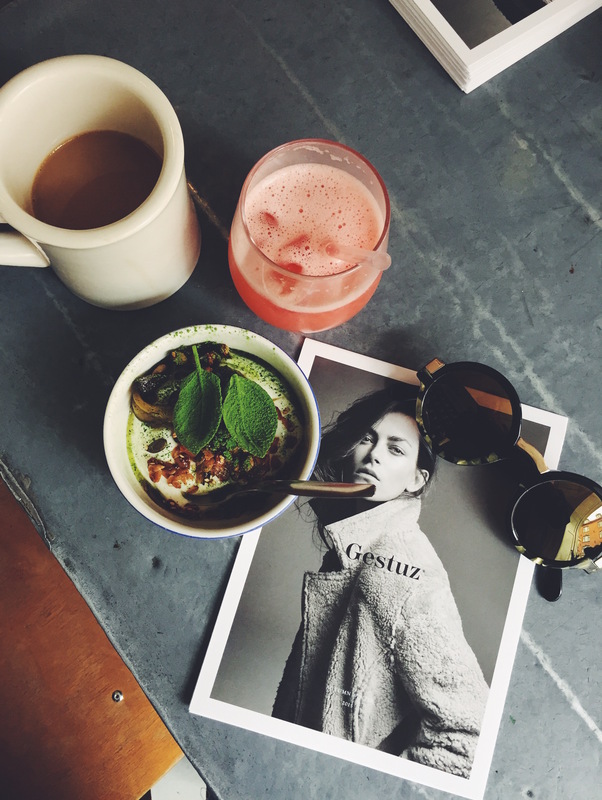 i had the best start friday morning, in company with fashion brand gestuz. i was invited for breakfast at atelier september, surrounded by the beautiful aw15 collection. i personally fell in love with a black and gold kimono, and velour pants in bordeaux! unfortunately i forgot to take some pictures of the clothes… but luckily you can check it out here!